Child’s play or a signs of a serious security problem in one of the nation’s swing states? That’s the question confronting Florida election officials who are pushing back against reports that an 11-year-old hacked a replica of the state’s election website. 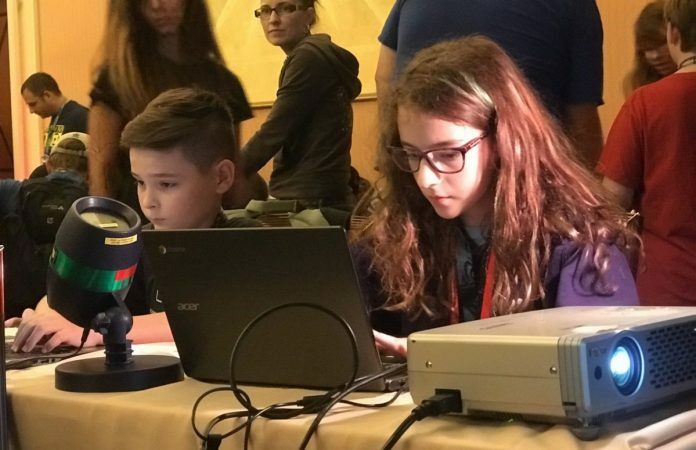 Multiple media outlets over the weekend reported that children at a hacking conference in Las Vegas were able to easily hack into a version of the website that reports election results to the public. An 11-year-old boy got into Florida’s site within 10 minutes, while an 11-year-old girl did it in 15 minutes, according to the organizers of the event called DEFCON Voting Machine Hacking Village. State officials contend there’s no way that the replica used by hackers is an actual representation of the state’s website. Still if someone was able to manipulate the website it could create confusion and sow doubts about the actual results once they were announced. Investigators in May found evidence of a cyberattack on a Tennessee county’s elections website from a computer in Ukraine, which likely caused the site to crash just as it was reporting vote totals during a primary. The reports of hacking into Florida’s website that reports election results coincide with a dust-up between U.S. Sen. Bill Nelson and Gov. Rick Scott over possible Russian meddling in other parts of the state’s election system. The senator has not provided any more details, saying that additional information is classified. Scott has demanded that Nelson provide proof of his claims. Last Friday two Republicans who are on the Senate intelligence community declined to confirm or deny Nelson’s statements.